When I was contacted about doing FMWL's first book review, I had some reservations. The book? Tales of Woe, a collection of real stories about real events. The common theme? Suffering and sadness. Not necessarily my thing, but I was intrigued. I'm a horror fan who grew up with true crime stories on TV (so much so that my sister made forensics her beloved profession), and that was enough to convince me that something about this book would be entertaining to me. From the start, I severely underestimated John Reed's collection of emotionally destructive true stories. I was sure I could find a way to enjoy what was spelled out within the pages of the book, which appeared to me as a small hardbound edition of black pages covered in white text, with some blood red print sprinkled in for effect. I've watched enough tales of woe take place on movie and TV screens, surely I could manage about 150 pages of sad tales and 50 pages of illustration, right? I picked up the book figuring I could power through it over the next 2-3 hours. I ignored the warnings on the back cover which promised "Crushing Defeats. No Happy Endings. Abject Misery. Pointless, Endless Grief.". Another warning stated that there would be "No lessons of temperance or moderation". I didn't think that possible to a jaded lover of dark cinema like myself. As I said, I severely underestimated Mr. Reed's collection. The early stories were easy to get through - a little sad, sure - but nothing that really hit me in the gut too hard. As I passed the 60-70 page range, I started to get a little tired of the book, but my inner tough guy figured it was just the strain of trying to read the white and read text in my poorly lit apartment. As I passed the 100 page mark, I realized that I really did need a break. 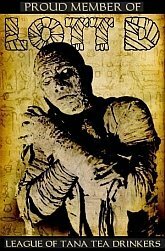 That old saying that us horror fans love to bring out warns about staring into the abyss, and that's exactly what I felt like I was doing as I read the stories collected here. There was animal cruelty (both by and against humans), racial injustice, freak accidents, lewd sexual behavior, and more. Some of the stories seemed too crazy to have actually happened. Did a baboon really eat a baby's brain and then drop it from a telephone pole? Could a female luchador really be a serial killer of epic proportions? I wasn't quite buying into what the book was offering, but it was gazing back at me with an unflinching resolve. My pace slowed considerably as I continued to travel through the tragic scenes Reed and his artists painted for me. By page 140, I gave up. I was resigned to finish the book the next day. In fact, I momentarily considered giving up on the book entirely. Of course, that ended quickly, because there's no way would I slight my readers and the fine folks who offered me the chance to review this book. But the fact that the book was getting to me enough to make me consider giving up was a scary thought. I went on to finish the book the next evening. There were more times when I had to put it down and shake my head in disbelief. A late tale about a doomed mother and child had me begging the back cover was lying - that maybe there would be just one moment of divine intervention in the book. I was completely broken down by the tales within this little black book. The back of the book also made a claim that its purpose was Greek Catharsis, meaning that "You watch people suffer horribly, and then feel better about your own life." In my case, it made me immediately want to partake in things I enjoy (In the interest of full disclosure, that included watching a video of my 18 month old niece, some music by Meat Loaf, and an ice cream bar). I enjoyed these things a little more than usual, definitely, and I also found myself thinking a bit about the people in my life who I may unintentionally distance myself from at times. I'm not sure I was left feeling better about my own life, but I was more grateful. If that is its goal, then Tales of Woe is a depressing and harrowing success. I'm glad that I've had the chance to experience these tales - from the silly ones (did we need so much emphasis on the evils of Sarah Palin?) to the destructive ones (I'll never look at the cupboards under my kitchen counter the same way), because they offered me something powerful and thought-provoking. 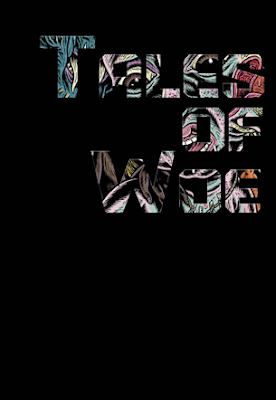 If you think you can find your way through them, John Reed's Tales of Woe will take you on a journey of suffering. I must warn you, however. Tread that road carefully. Good review Mike. I don't have any time to read these days, so I guess it doesn't affect me any, but I probably won't have this one at the top of my list a few years from now when I return to reading. I look forward to more From Midnight, With Love book reviews. I just might write a book, just so you can review it, haha. Good review. It certainly was a difficult read. I posted my review this morning, and linked back to yours and Geof's at ETMC for those wanting a second opinion. Looks like we broke our cherries on book reviews for the same book, and I am glad to read a review of this book from another point of view. Well written Mike. Like Metro, I linked you back on my site as well and thanks for linking me here. Great review! Books are much harder than movie reviews because you actually have to read the book, which takes more time than watching a movie.